Cascando | Plus zur Raumergänzung. 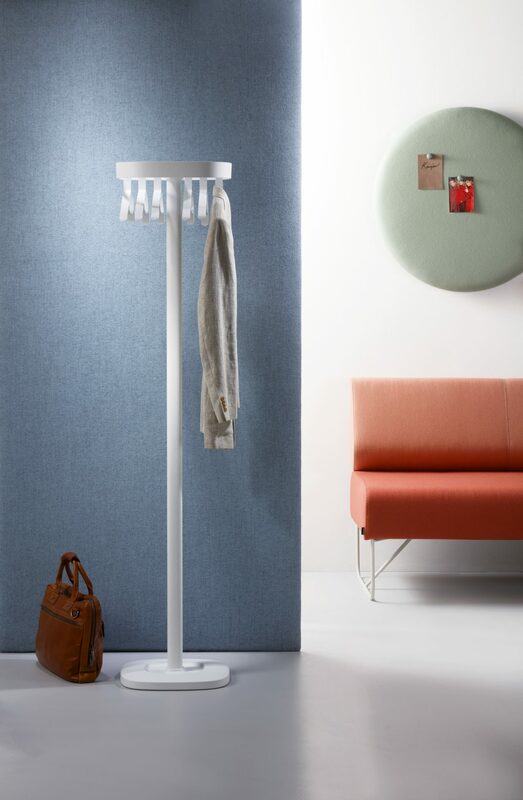 Plus is a smart and inventive coat stand. Hangers and hooks are placed on the inside of the hanger platform. This provides a restful look at eye level and a clean appearance for every space. Even completely filled with coats and jackets, the straight minimalistic line of this loop shape platform is still in sight. 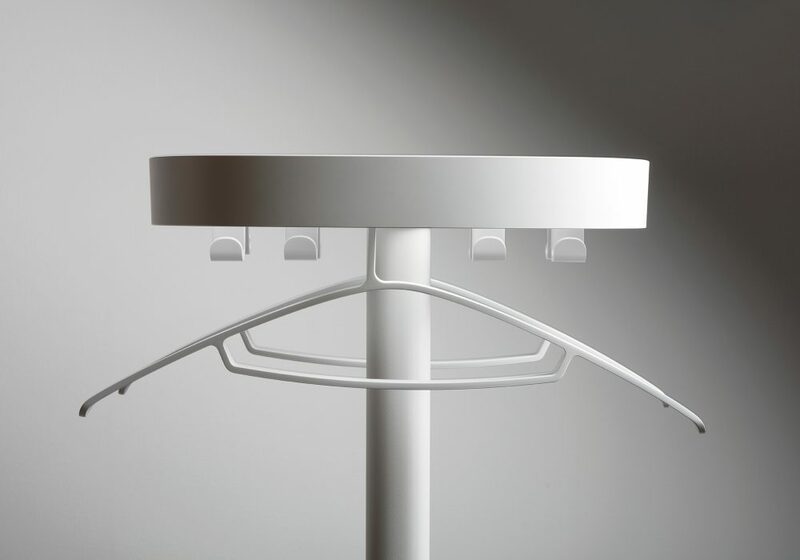 From the top to the cast iron base, all its parts have the same soft corners which lend Plus its elegant and contemporary shape. Plus is functional and flexible. 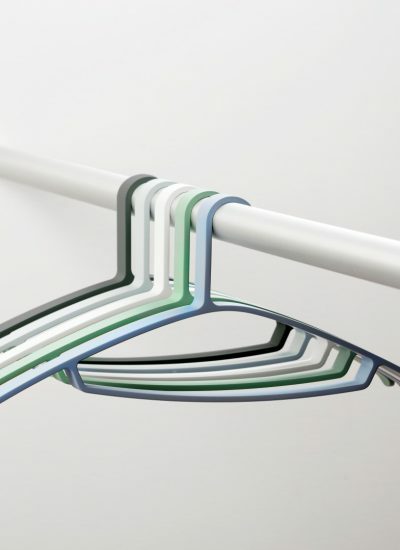 It can be equipped with hooks (8 – 12 pcs), hangers (4 – 6 pcs) or even a combination of both (3 hangers + 3 hooks or 4 hangers + 4 hooks). Easy to adapt to everyone’s needs. 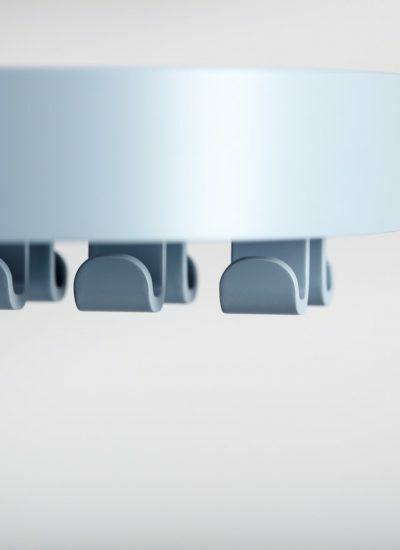 The cast iron base ensures maximum stability. 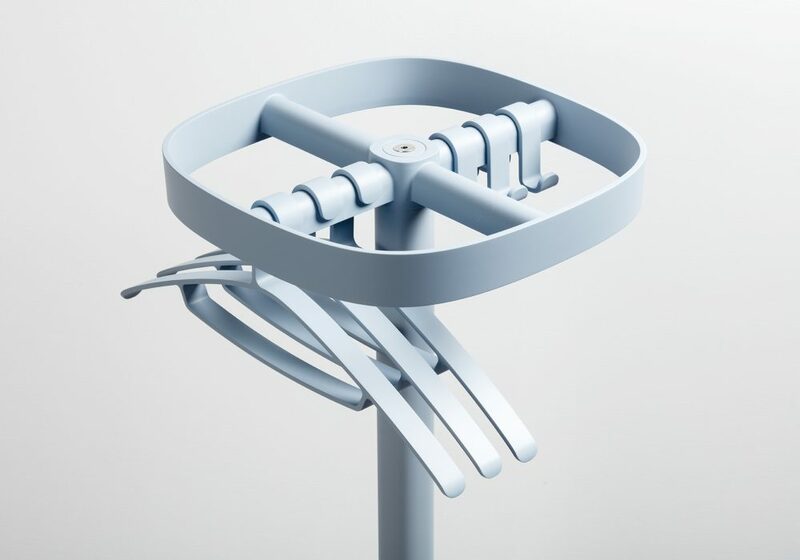 An umbrella holder can be placed as an option. Plus is available in five contemporary colours. Dimensions: 170 x 38 x 38 cm (h x w x d).